Chalk this film up as another serviceable action comedy with enough derring-do and laughs to make a trip to the theater worthwhile. As a character, Ant-Man is certainly a lot more fun than dour Batman or goody-two-shoes Superman—he's fallible, irreverent, and generally loveable, in part because he's trying so hard to be a good dad to Cassie (Abby Ryder Fortson). The running gag is Scott is under house arrest for two years because he joined Captain America to save the world in Germany, breaking international accords. Superheroes may save the day, but they leave a wake of destruction too, and Scott must remain housebound with an ankle bracelet, under the watchful eye of FBI Agent Jimmy Woo (Randall Park, at his deadpan funniest). Woo is always one step behind Scott, and his bits are even funnier than the three hapless thieves-turned-security experts—Luis (Michael Peña), Dave (Tip "T.I." Harris), and Kurt (David Dastmalchian)—who tried to rob Dr. Pym in the first Ant-Man film and now run a security company. In addition to dealing with Ghost, Scott and company have to watch out for Sonny Burch (Walton Goggins), who like Ghost is desperate to steal Pym's technology. 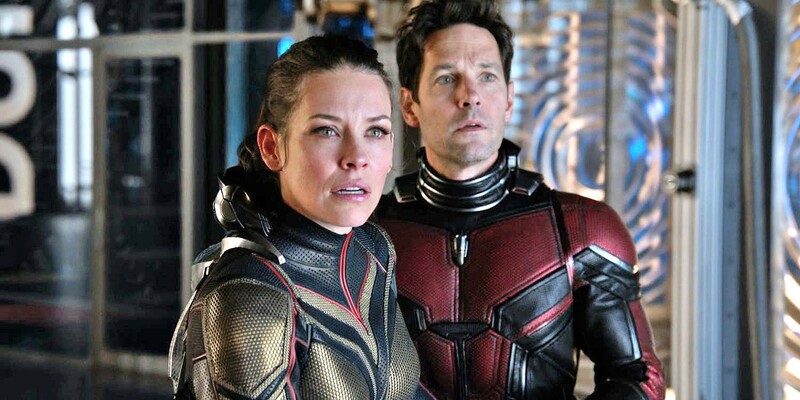 Meanwhile, Pym now believes his wife Janet Van Dyne (Michelle Pfeiffer), who's been lost in the "quantum realm" for 30 years, is alive, and that it may be possible to rescue her. 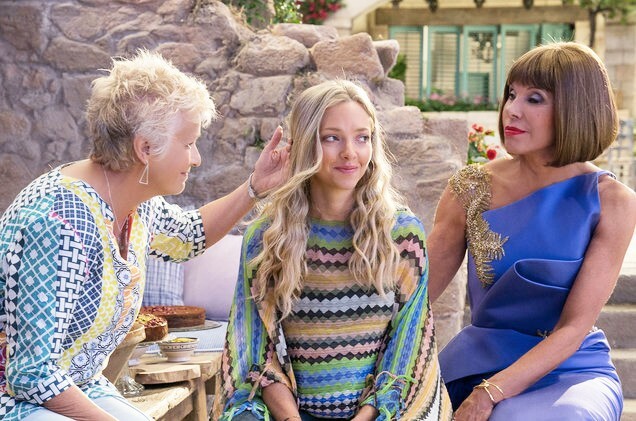 Rudd is particularly suited to the character. He's sort of a hangdog everyman, but he's also funny, charming, and good looking enough to be a credible love interest to Hope. Yes, he seems to screw things up over and over again, but his heart is in the right place. 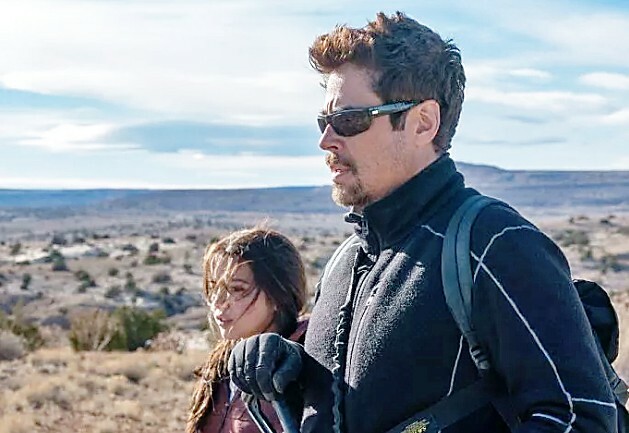 Lilly as Hope is much more competent than Scott, and a strong female character in a superhero movie is always a welcome respite from the boys' club. There's some nifty age-reducing CGI for the backstory about Pym and his wife Janet—both are made to look young again. It certainly adds to the realism of the pre-story, in which Pym and Janet as Ant-Man and The Wasp disarm a Soviet nuclear missile heading to the U.S. The whole quantum realm thing, however, feels like a lot of nonsense. There's no mention of how Janet survived for 30 years shrunken to subatomic size, what she ate, what continued to power her superhero suit, etc. 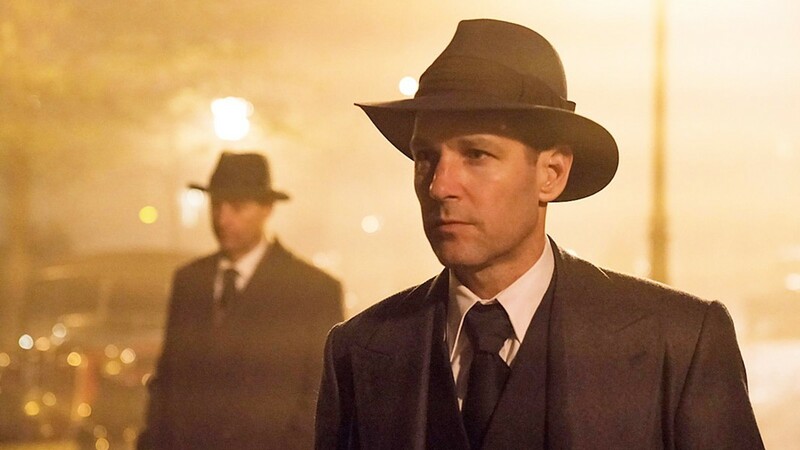 JACK OF ALL TRADES In The Catcher Was a Spy, Paul Rudd plays Moe Berg, a major league baseball player turned spy who is also a closeted gay man during World War II. 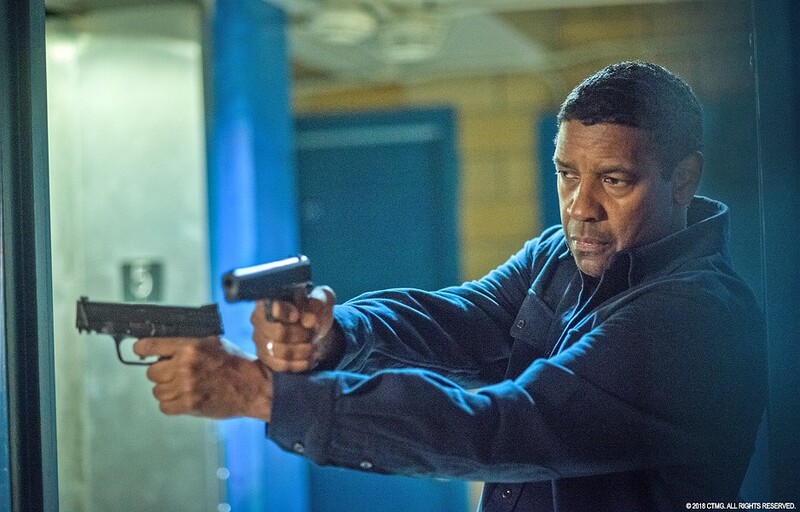 JUSTICE Robert McCall (Denzel Washington) serves an unflinching justice for the exploited and oppressed in The Equalizer 2. This heart-warming indie flick is exactly what you need this summer. Seriously, go to the theater now. I'll wait. Wasn't that lovely? From the acting of the star-studded cast Offerman, Blythe Danner (Husbands and Wives), Toni Collette (Little Miss Sunshine), and Ted Danson (The Good Place, Body Heat), to the musical performances (and references and soundtrack), and the use of imagery and subtle moments to tell a story, Hearts Beat Loud is a nuanced coming of age story—for both father and daughter. J.A. Bayona (The Orphanage, The Impossible, A Monster Calls) directs this follow-up to Jurassic World (2015), which was about an island dinosaur park and a genetically modified hybrid dinosaur that goes on a killing spree and brings down the park. Three years later, the island has been abandoned and left to the dinosaurs, but then the island's dormant volcano rumbles to life, threatening to kill all the dinosaurs. Claire Dearing (Bruce Dallas Howard) and Owen Grady (Chris Pratt) mount a rescue mission, but do the powers that be have an ulterior motive to funding their attempt? 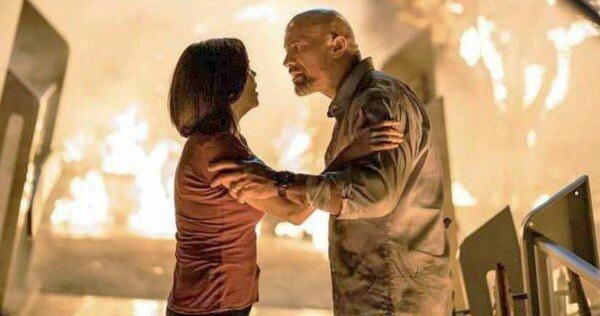 ON FIRE In Skyscraper, Will Ford (Dwayne Johnson) is framed for arson and must clear his name and rescue his family. Once a power caller, Green's life radically shifts. Moving out of his uncle's garage-turned-bedroom, he and his girlfriend, Detroit (Tessa Thompson), upgrade to a stylish apartment in a nice part of the city. Unfortunately, Green's new job tests his moral compass and causes a rift in his relationship with the much more radical Detroit. 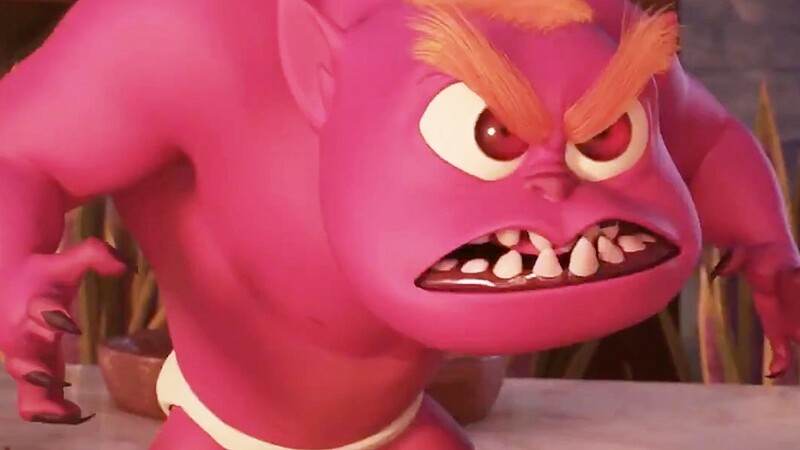 Toward the end of the film, a shocking twist reveals just how unethical Green's line of business is—the absolute absurdity of it rendering the rest of the film's oddities completely tame. While some jokes and scenes fall flat, there are plenty of memorable moments throughout the film. A lot of the scenes have an almost SNL-skit quality to them but are executed in a more mature way. From Detroit's performance art that involves being pelted by clunky phones and balloons of sheep blood, to an uncomfortable party where Green is forced to rap for an oblivious crowd, the entire film is purposefully and smartly unsettling. Most notably (and contrary to the title), Sorry to Bother You is an aggressively unapologetic take on race and capitalism in America. Boots' satirical writing is oftentimes more thought-provoking than traditionally humorous, resulting in a movie that conjures up more knowing smirks than actual laughs. 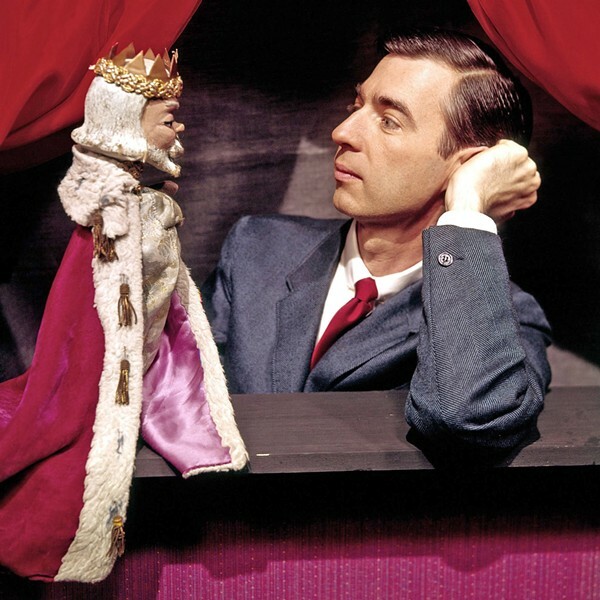 PUPPET PERSONALITIES Fred Rogers used puppets, such as King Friday XIII, to personify different personality types to better communicate with children. This documentary mixes archival footage of his show both off screen and on; interviews with those who knew him and were part of his show such as his wife Joanne Rogers, and members of his cast such as Betty Aberlin (Lady Aberlin) and François Scarborough Clemmons; and particularly memorable guests such as Yo-Yo Ma and Koko the sign language gorilla. There's even some animation to help illustrate some of the narration about his life. Though I watched Mr. Rogers' Neighborhood as a kid, I really don't remember much of it, perhaps because Rogers was never heavy-handed or didactic. His main message was love and acceptance. He wanted each child to know he or she was loved and capable of loving. He also wanted kids to know that whoever they are, that's good enough. It's about as close to Jesus's message as you can get, but ironically it was a message that led to backlash by—get this!—conservatives who argued Rogers created a generation of entitled brats. The "God Hates Fags" Westboro Baptist Church considered Rogers—an ordained minister, by the way—an enemy too. They actually protested Rogers' memorial service. As far as I'm concerned, that's a ringing endorsement! He's rankling the right hides, but it's hard to believe such a gentle, sweet, loving person could be so polarizing. Maybe it was simple nostalgia or being warmed by his message, but this documentary had me choked up throughout. Seeing Mr. Rogers gaze with love into a learning disabled child's eyes, watching him invite African-American cast member François to soak his feet with him in a child's wading pool during a time when whites and blacks didn't swim together, or seeing Rogers channel the empathic tiger sock puppet Daniel just got me. It's not like Rogers was without fault. When he learned that François was gay, that was something that needed hiding for fear it would undermine his program, but Rogers was right on race and right on inclusion of disabled children during a time before such kids were mainstreamed in public schools. It's also amazing to see Rogers go before congress and argue for the worth of public television. It's now decades later, and our current president seems bent on dividing our country by race and stripping federal funding from the arts, NPR, and PBS. This documentary is a reminder that there was a tireless champion of tolerance and inclusivity. We could certainly use that again.